A book that turns the reader into a hero! 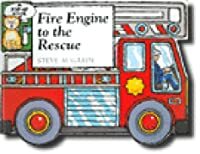 Pop-ups and pull tabs draw children into the exciting world of fire fighters. Ready to rescue, when the alarm sounds young firefighters can jump aboard the fire truck. Slide down the pole! Steer the truck! Pull out the hose and turn up the pump! Use the ladder to save the cat! 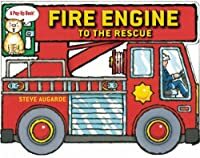 This exciting fire rescue story puts the youngest reader in charge. 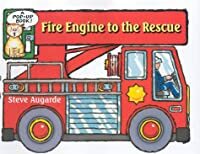 Also available in Spanish as Camión de bomberos al rescate.